ANU researchers studied airborne contamination for the first time in Tasmania and found metal contaminants travelled 130km down-wind of historical mining sites in Queenstown and Rosebery. Lead researcher Dr. Larissa Schneider and Professor Simon Haberle from the Archaeology and Natural History program, said the high levels of metal concentrations may be cause for health concerns. "This is a very severe contamination and it's very likely that the health of the local biota; bacteria, algae, fish and other organisms is being affected, but as this aspect hasn't been studied, we have no way of knowing," said Dr. Schneider. "As we know, concentrations of contaminants increase as they travel up the food chain so this has implications for anyone who consumes fish from these areas". Dr. Schneider said the Tasmanian contamination is on par with that in the Kurang River in Pakistan, contaminated by mining and the Shur River in Iran, subject to heavy metal pollution from non-mining activities such as waste dumping. "I was very surprised by the high concentration results. When we compared the confirmed results with worldwide sites, we found that Tasmania's metal concentration levels were one of the highest ever reported," said Dr. Schneider. 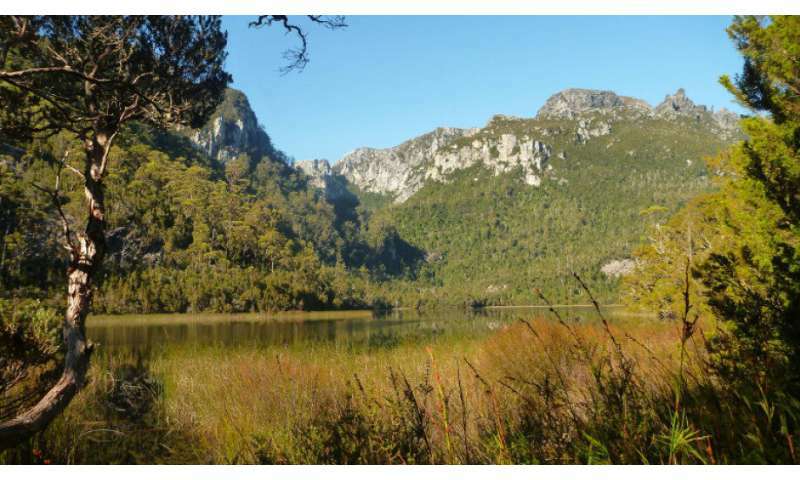 "We tested a number of metals and metalloids including selenium where a study in the US proved that lower concentrations than the ones found in Tasmania had affected the ability of fish to reproduce. "It's even worse with Mercury and Lead which cause deformities in the offspring of affected fish. Some elements can also be carcinogenic so all this could be happening in Tasmania in an area we think is safe because of its world heritage listing," said Dr. Schneider. "In 1973, Tasmania did very well by being one of the first Australian states to legislate an Environmental Protection Act, but the government of the day exempted the mining companies from the rules so they continued to deposit waste into the rivers," she said. Crucial to obtaining these results, was a new model used to help understand the interplay of climate factors on airborne metal distribution. "Our research established the extent of the airborne contamination and how severe it is. We now need more knowledge about the chemical forms of the elements to assess exposure and the health risks they may pose to organisms," said Dr. Schneider. "We should also study the organisms to assess stress levels caused by the high metal concentrations. "The big concern is that the legacy of practices carried out from 1893 until 1994 are still having a negative impact on the environment today and no one is taking responsibility for it". Professor Haberle said sediment pollution from heavy metals is a worldwide problem and considered a serious threat to aquatic ecosystems because of their toxicity, ubiquitous and persistent nature. They are also non-biodegradable and bio-accumulate in food chains. Dr. Schneider's research is published in Science of the Total Environment. Tasmania is on the list of World Heritage sites but no comments on the about the long standing mine poisoning? We pass laws that sound good and don't notice the exceptions the capitalistic economy said it needed until decades later. I see no future for a society that lets greed determine public's living conditions. Lead and cadmium are pernicious and lingering poisons in the body. Expecially cadmium, inasmuch as it makes body mechanisms that are supposed to help us. Cadmium makes those work in reverse. Cadmium and lead is present in hobby paints used by ceramics crafters. All the glazes used by these hobby crafters use these, and the ordinary paints are just as bad. Exceptionally hazardous is the practice of 'dry brushing' in which the paint is applies almost dry and brushed hard, creating noxious dust. These dusts debilitate the health of all who breathe it. Lung capacity and ability are affected, causing COPD. The dusts affect eyesight reducing visual acuity markedly over time. As long as one is exposed, the worse these affects become. They CAN KILL. If one leaves the presence of these extreme an insidious hazards, health will improve only gradually over about 4 to 5 years till normality kind of returns. Long term effects may remain. Those polluters and pols need to be jailed.